A team from Airbus, Laser Zentrum Nord in Hamburg and Concept Laser has been shortlisted for this year’s German Future Prize for work on 3D printing in civil aircraft construction. The nomination revolves around the improvements made in 3D printing, which can now be used to manufacture metal aircraft components subjected to high mechanical and thermal loading. The project team consists of Peter Sander, head of emerging technologies and concepts at Airbus, Hamburg; Professor Claus Emmelmann, CEO of Laser Zentrum Nord, Hamburg; and Frank Herzog, founder and CEO of Concept Laser, Lichtenfels. The German Future Prize is the Federal President's Award for Innovation and Technology. It is awarded to developers from industry and science that have rendered outstanding services with projects and initiatives to Germany. The 3D printing technology is up against a car radar project from Infineon Technologies and a treatment for pulmonary hypertension developed by Bayer Pharma. The winning team, receiving €250,000, will be announced on 2 December. The Airbus project focuses on an additively manufactured titanium bracket used onboard the Airbus A350 XWB. It is a bionic holding and connecting element, which is regarded as an important contribution to the lightweight construction of aircraft. The component was previously a milled part made of aluminium; it is now a printed part made of titanium with a weight reduction of approximately 30 per cent. The work uses Concept Laser’s LaserCusing process for metal additive manufacturing, whereby powdered metal is fused with a high-energy fibre laser. The fusing process uses 3D CAD data to generate components layer by layer (each layer measures 15-150μm). After fusing the first layer, the bottom surface of the build space is lowered and more powder applied. Depending on the application, stainless and tool steels, aluminium and titanium alloys, nickel-based superalloys, cobalt-chromium alloys or precious metals such as gold or silver alloys can be fused. Concept Laser’s systems give stochastic control of the slice segments (also referred to as islands), which are processed successively. The process significantly reduces tension during the manufacture of very large components. 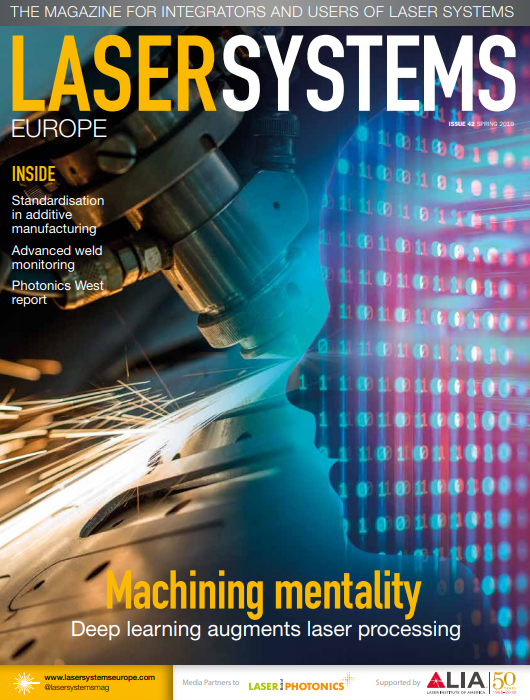 Quicker throughput times, cost-effective components, and freedom of design are all reasons why laser additive manufacturing is gaining significance in aircraft construction. In terms of aircraft design, future components will potentially be able to absorb specific lines of force and yet still be able to fulfil the demands of a lightweight construction approach, it is hoped. Since tools are not required in the process, it is now possible at an early stage to produce functional samples of components that are similar to series produced components. This is done without upfront costs for tools. This means that sources of error can be identified in the early stages of the design process in order to optimise the processes within the project. Laser melting with metals allows extremely fine, even bone-like, porous structures to be produced. ‘Future aircraft components will therefore have a bionic look,’ according to Sander. In 2016 this module will be extended by QMmeltpool 3D, which will be able to generate 3D datasets of the part and its structure.